It's back to school here in our town! The boys have been back for about 3 weeks! We had a great summer and looking forward to Fall. 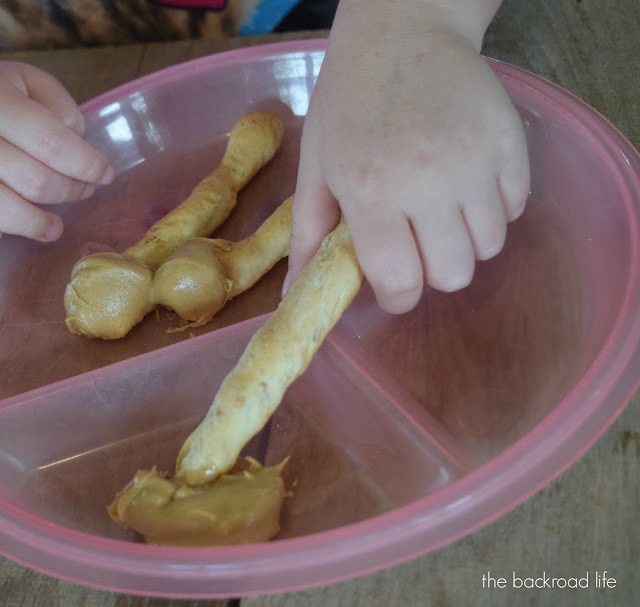 Looking through the Rumford Complete Cookbook this month, I was looking for something that could work for the kids' lunches or a snack and I came across this Oatmeal Sticks recipe. I like to try to make up a variety of snacks for the kids homemade here and there. This recipe is super easy and doesn't take long to put together and bake. Double or triple the batch to have more made up. 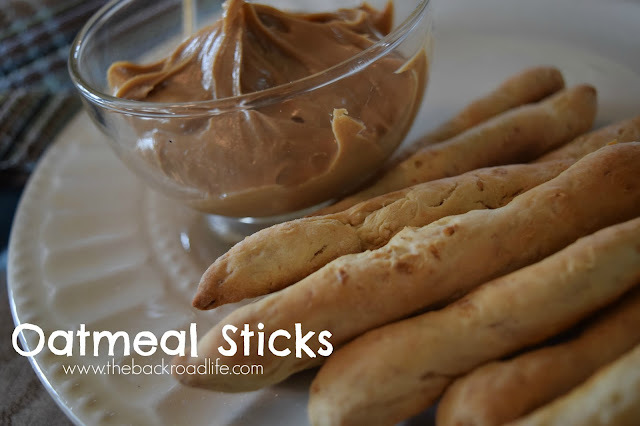 The Oatmeal Sticks recipe is on page 120 of the Rumford Complete Cookbook. Below is a photo of the recipe. Here is my version of this recipe. In a large mixing bowl, combine the flour, salt, sugar, and baking powder and mix together. Add the butter and blend in with the dry mixture. Scald the milk and then add to the oatmeal in a separate bowl and stir. Add the oatmeal/milk mixture to the dry mix and butter and mix together until well blended and smooth. 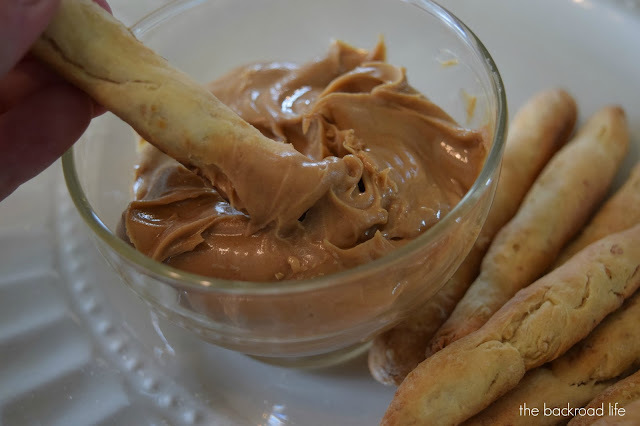 Use hands and roll dough into sticks. I did about the thickness of a pencil, but a little shorter. Place on a greased baking sheet and bake for 10 minutes at 425 degrees. I got 60 sticks out of one batch! I did have a small bowl of flour to add a little to the dough as I was rolling out the sticks that prevented it from sticking to my hands. My kiddos really enjoyed them. 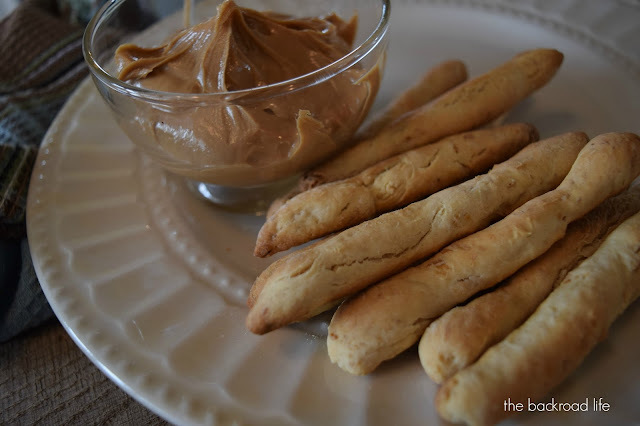 They were tasty plain and they really enjoyed dipping them in peanut butter! I will be making more again! A delicious, healthy, and easy snack!